Every fall, as parents drop their students off at college, there are many tears shed, tons of hugs given, and heartfelt goodbyes shared as students start their college journey, leaving their families and leaving an empty room at home. But more so than the empty room, they leave us with an empty heart. For 18 years we have nurtured them, fed them, clothed them, and guided them through life. For the most part, our lives revolved around them and their needs, always planning for their future and the inevitable day when they would leave home. But we never thought it would come so quickly. Eighteen years flew by, leaving us with precious memories and a void that seems impossible to fill now they are gone. How do we as parents handle that feeling of loss? How do we overcome the urge to cry when we walk by their room? How do we avoid constantly texting them to make sure everything is okay? It won’t be easy. 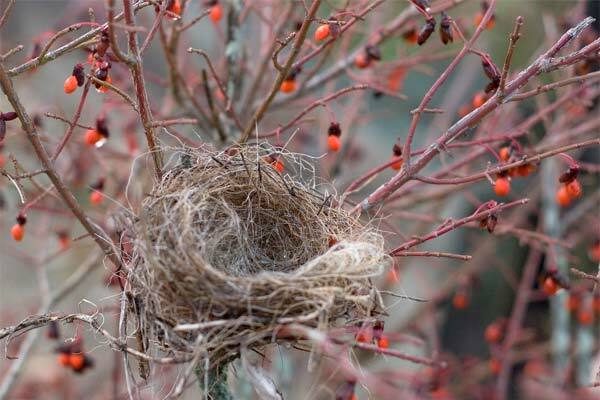 It requires time, acceptance, and a change in attitude to avoid floundering in the empty nest. Although you always knew this day would come and you are so proud of your child’s accomplishments thus far, it doesn’t mean you automatically adjust to your new life without them. There’s a pretty good chance that you will experience some separation anxiety, not unlike grief, when your child leaves your home—often called “empty nest” syndrome. It’s normal for most parents, and although it’s nothing to panic over (or feel embarrassed about), you should give yourself some time to grieve. Shed the tears, reminisce about the good times, and then move on with your life. Things have changed since we went to school in the 70’s and 80’s. (They’ve even changed since my kids went in the 90’s and 2000s.) The world can seem like a scary place sometimes, and it’s practically impossible to not to worry about your kids as they leave your care and venture into that world. But even though we know they face new risks, don’t let yourself go down that path of fear and anxiety. Safeguards are in effect on campuses in the event of emergencies, and you have taught your student how to respond to tough situations as well. Trust them to remember your training, and trust the college to do their part to keep your student safe. Before your child leaves for college, make plans to stay in touch. Schedule time to communicate, and discuss how often you need to hear from them. Don’t be that parent who tapped into campus security cameras so he could follow his daughter’s every move or the one who texts them non-stop until they respond. Give your child some freedom to socialize, study, and explore their surroundings. Not only does your student need space to create a life, you do too. Take some of that carpool, homework, or daily school prep time and use it to explore hobbies, join activities, make new friends, or reconnect with old ones. Filling that gap will help you move on and shorten the grieving time. Be prepared to hear these words from your child after the first few weeks: “I don’t like it here. I want to come home.” As your heart sinks and a hundred thoughts go through your mind, remember that most parents face this problem. It’s natural for students to feel homesick in the first few weeks of college. For most students, it subsides in time, and once they have established friends and a routine, the homesickness becomes a distant memory. Resist the urge to rescue them, run to their aid, or book them a plane ticket (as much as you want them to come home). It may not be easy to listen to their pain, and even harder not to bring them back home, but for most freshmen, this passes quickly. All they need is a little reassurance that everything will be all right. It goes without saying that every parent will face the overwhelming urge to “fix” things for their college student. Whether it’s a roommate clash, a professor issue, or any number of conflicts that arise at college, resist the urge to act or “solve” the problem. Learn to listen as they vent and talk things out with them, helping them find a solution. When they make mistakes, don’t lecture. They are now adults who have to face the consequences of their actions. It’s a tough pill to swallow, but it’s all part of growing up. Even though your college student left you with an empty nest, you should be proud of their taking this step and moving toward independent adulthood. Use some of the free time you now have to explore and grow personally—this is the best way to move on and fill that empty heart. Suzanne Shaffer counsels parents in the college admission process and the importance of early college preparation. Her blog offers timely college tips for parents and provides them with the resources necessary to help their college-bound teens navigate the admission maze. Her college advice has been featured on Huffington Post, Yahoo Finance, and U.S.News College. She is an author and contributor for The University Parent Guide to Surviving Freshman Year and College Bound and Gagged. She is the parent college coach expert for Smart College Visit and TeenLife Media. You can also find her on Twitter (@suzanneshaffer) and Facebook (parentcollegecoach).